We sometimes are blissfully unaware of the untold history that lies behind the facade of a familiar street building. We stroll by it so often we become immune to the great story wrapped up in and whispered from its age old walls. It is not known exactly when the shop on Main Street first started dealing with the local people in a professional capacity but it is believed to be one of the oldest businesses on the street. In very early records we find that it was selling only salt for the curing of bacon. In an age before fridges – salt was the almighty preservative and a form of ‘gold’, people even paid with money and salt in Roman times (the very word ‘salary’ comes from the Latin for “salt”). As time went by the shop grew and broadened in the goods it offered adding groceries, funeral wreaths and fresh flowers. In its very early days the premises took on a fourfold purpose: a shop, a posting establishment, a chandlers and an undertaking business. The chandler part of the business produced candles for the homes of Hospital, the surronding churches and business’s in an era prior to the advent of electricity. The “posting establishment” which was a transport and taxi service also worked from this notable street premises. 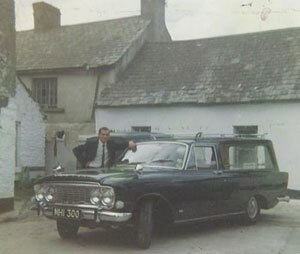 In the stables behind Davern’s shop, horses were kept for the funeral hearse, mourning cars, traps and general transport. Here, in this one time bustling yard, horses were always kept on standby and harnessed into action when the trains came in to the station of Knocklong. It was then the carriages were sent for to shuttle people to their homes in surrounding villages. The undertaking service that was offered, over a century ago, was different in its style and method. Back then coffins were made in the workshop and sold to people, who, in those days carried out their own funerals in private with the help of neighbours. 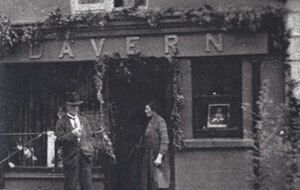 The Undertaking business that is Daverns today started here circa 1865. Over the last one hundred and fifty years, to ensure the very best service to people in their time of grief, the art of undertaking has grown, developed and been fine tuned. As time marched on funerals, like everything else, had to change with the fast moving world. The funeral home first came into existence in the United States of America, where it took the pressure off abereaved family to “host” a funeral and ll the sympathisers in their home house. It did not take long for this idea to spread in popularity because of the sheer convience it afforded to those who had lost a loved one. 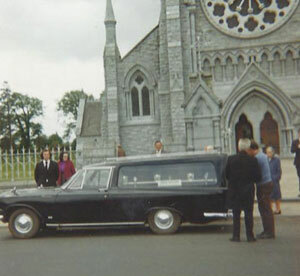 The concept of a “funeral home” made its way to Ireland and the first one opened in this country in Cork. 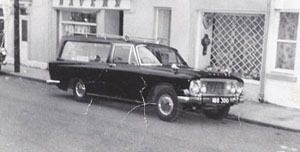 Davern’s funeral home was built and opened in the service of the people of Hospital and surrounding parishes in the month of July 1979. The skill and profession of modern embalming within the funeral business was also started in America. 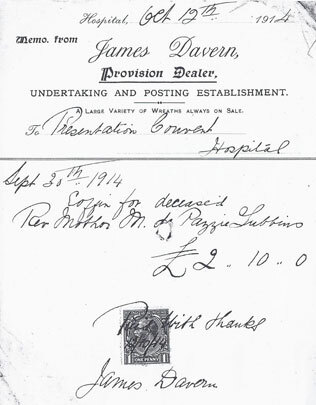 The business that is Daverns undertaking service was born in the old shop on main street, Hospital. It has developed with the ever changing world and so it is that we now are qualified embalmers which adds greatly to the service we offer. In the interest of providing a more complete and inclusive package we have now developed a memorial service. As we look to the future we are very conscious of our past and how our business had its genesis in the shop on the side of the street in the town of Hspital. The wealth of local history that has unfolded in this building is a remarkable and the services it offered over all its years has played a valuable role in the life and times of the town of Hospital.